Question: When it comes to holiday shopping, do you love it or hate it? Personally, I love the process of planning, curating and wrapping gifts for people in my life – especially when the latter is done with a hot beverage nearby and a solid Christmas playlist. I’ve never been a fan of gifting for gifting’s sake, but what really gets me excited is when I come up with an idea that is super specific to the recipient. The kind I know other people might not understand, but the person opening it will totally get and totally use. 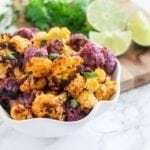 If you’ve been hanging around here for a while, you’ll know I’m all about food that doesn’t just taste good, but also has functional benefits. I’m willing to bet you’ve got other people in your life who feel the same – you know, the one who blends up green smoothies full of ingredients you’ve never heard of, offers you roll-on aromatherapy remedies when you complain about headaches, and pours you a cup of ginger tea when you feel nauseous. She’s the pal who drinks warm lemon water in the morning to boost digestion, who isn’t grossed out by the scoby she uses for her home-brewed kombucha, and who introduced you to your first turmeric latte. She’s a gem, if you ask me. With this culinary nutrition-loving pal in mind, I’ve put together the Holiday Gift Guide for the Superfoodie’s Healing Kitchen. It’s a curation of my multi-purpose must-haves, plus a few new discoveries that I’m excited about. 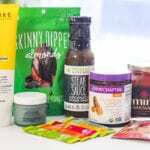 As an added bonus, if YOU happen to be one of those people who loves stocking a kitchen with superfoods, consider this a treat yo’self gift guide too. Candied, like these Chimes Ginger Chews and Gin Gins Hard Candies by The Ginger People, which I don’t board flights or go on road trips without because they’re great for helping with nausea and motion sickness. 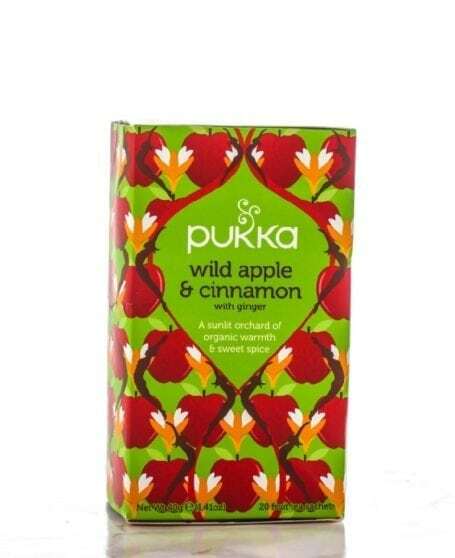 Shop it: Wild Apple & Cinnamon with Ginger, Traditional Medicinals Organic Ginger Aid, Yogi Tea Mango Ginger. Why? 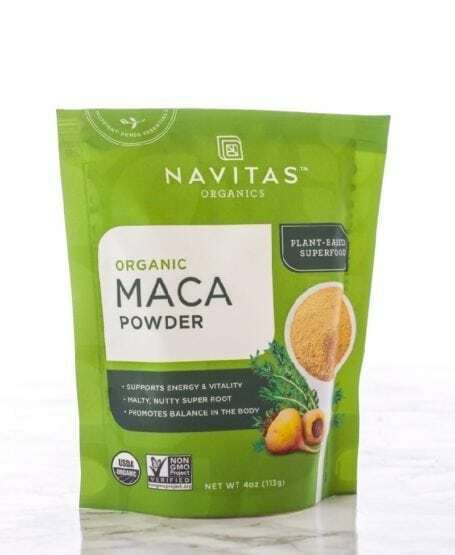 Like other adaptogens, maca helps to support the endocrine system and provides a natural source of energy, without the jittery kind you’d expect from too much caffeine. It helps the body respond effectively with stress, all while providing fibre, essential fats, and a subtle butterscotch-y flavour. It’s also a natural aphrodisiac, ? and some studies show that it’s effective in boosting athletic performance and stamina. Why? It’s one of the most potent anti-inflammatory herbs we know about to date, thanks to the active compound curcumin that gives the root its yellow pigment. 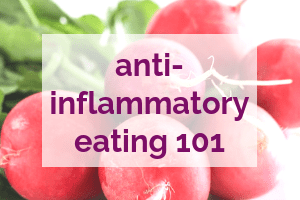 As I talked about in detail here and here, a diet loaded with anti-inflammatory foods is ideal for so many reasons. 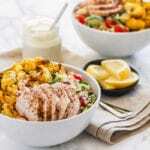 Whether it’s a long-term condition like arthritis or a shorter-term one like muscle soreness after a tough spin class, science has shown plenty of evidence that anti-inflammatory compounds found in food can help alleviate symptoms. Juices – the root can be added to a juicer just like other fruits and vegetables. When combined with ginger juice, lemon and cayenne, this makes one killer cold-busting shot. Turmeric lattes… and if that’s of interest, check out the next item in the list! Why? This powdered form of turmeric, cardamom, vanilla, ashwagandha, dates and black pepper is one of my new favourite elixir mixes. With all the same anti-inflammatory actions described above for ground turmeric, the addition of ashwagandha (a powerful adaptogenic herb) helps to support the nervous and immune systems. 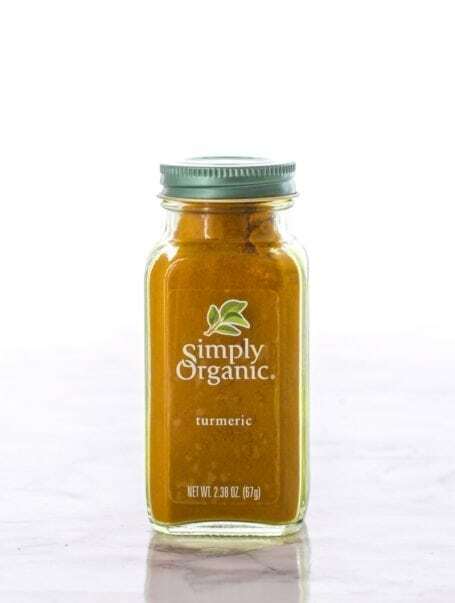 Hot beverages: I love mixing this powder with homemade almond milk on the stove, then giving it a quick whirl in the Vitamix to create a nice frothy turmeric latte. 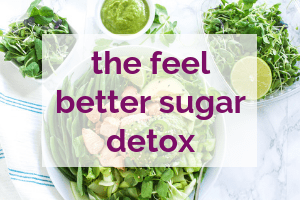 Depending on how much I feel like channeling my inner mixologist, I’ll also add things like cinnamon, ginger, vanilla or almond extract, collagen powder and other adaptogens – more about those below! Soothing inflammation and a sore throat – super helpful during cold season! 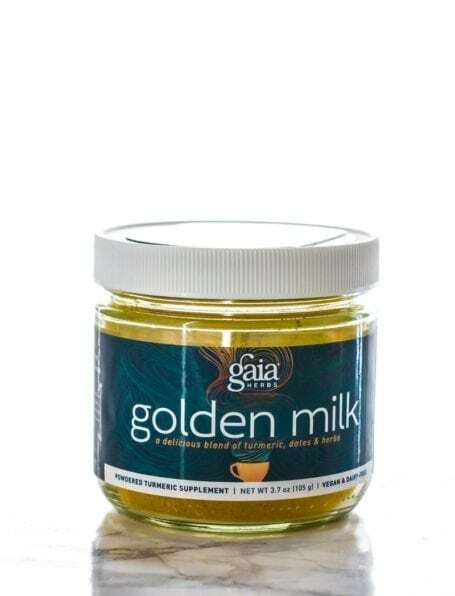 holy basil, yacon root and probiotics – all of which support a happy tummy and healthy digestion. As science is showing, the gut is truly like our second brain. 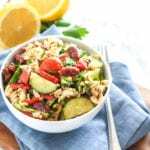 An unhealthy gut microbiome can trigger so many other issues that you might not think are remotely linked back to that source. 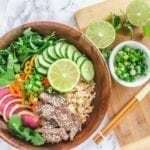 As I’m sure you know, a whole food, plant-based diet is one of the best ways to set yourself up for good gut health. After all, taking every supplements and elixir in the world won’t cure damage done by a poor diet. 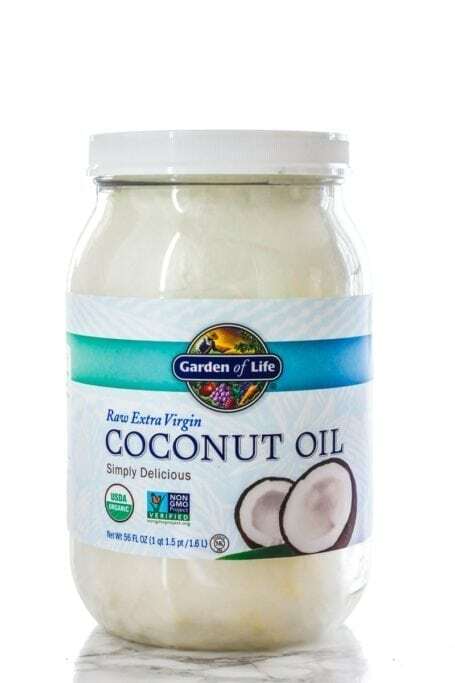 With that said, I love elixirs like this one because they’re like icing on the cake, and something that can help to take digestive health and overall wellbeing a step further. A wellness shot: Simply mixing 1 scoop with water. Adding a squeeze of lemon helps to neutralize the green taste. Oatmeal: This is going to sound weird, but sometimes I’ll hide about half a scoop in my oatmeal, along with vanilla, ginger, maca, lots of cinnamon and nut milk. Why? Not only is collagen a source of protein (which makes it a great supplement to take as part of a post-workout recovery regimen), but it’s what our bodies use to build strong, healthy hair, nails and skin cells. 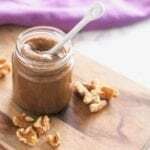 I talked about the benefits in depth here, but you may have also read about collagen supplementation being helpful for improving skin elasticity and smoothness. You’ll find it in all sorts of anti-aging skincare products because our bodies’ natural collagen production decreases as we get older. 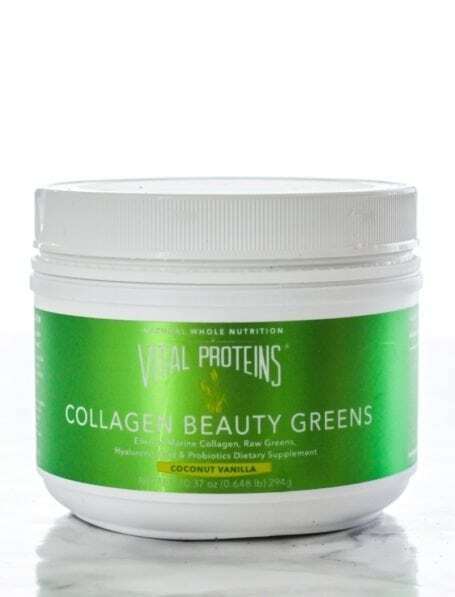 The Vital Proteins Collagen Beauty Greens also contains (as the name suggests) organic raw greens and probiotics for gut health. 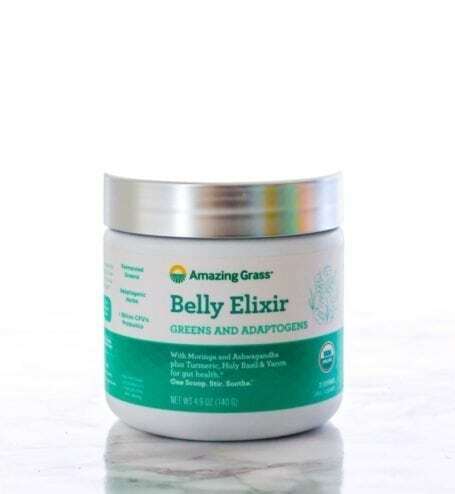 I use it in the same way as the Amazing Grass Belly Elixir above, but make my choice based on whether I want the collagen that this powder provides, or the adaptogen benefits of the Belly Elixir. Since starting to take collagen about a year ago I’ve noticed my nails and hair grow significantly faster, and that my nails break less often. Why? These are far more powerful than your average white button or cremini mushroom, and if you’re a regular reader you already know about my love for Four Sigmatic’s Mushroom Elixirs. 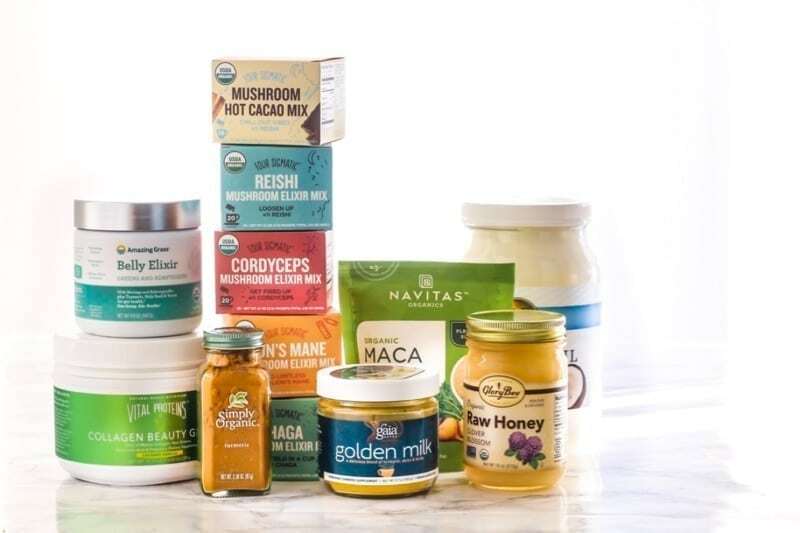 Adaptogens have been a big theme in the wellness world this year (and in this post! 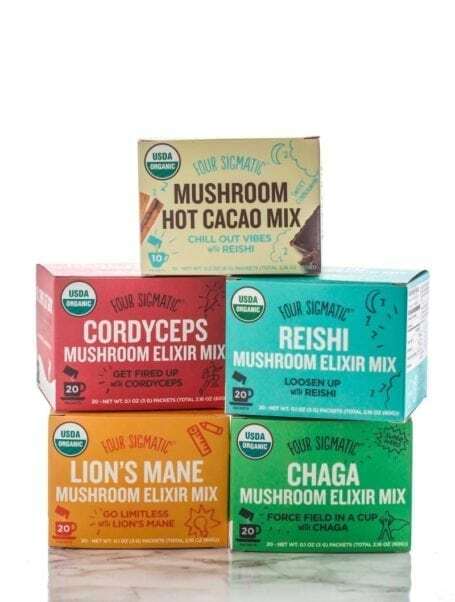 ), and surprise surprise – medicinal mushrooms are adaptogens too! To recap, that means they support the body in stressful situations, helping to bring it back to a state of homeostasis. Even coffee lovers can get their daily dose of shrooms, because in addition to elixirs and mushroom hot cacao, Four Sigmatic also has mushroom coffee. 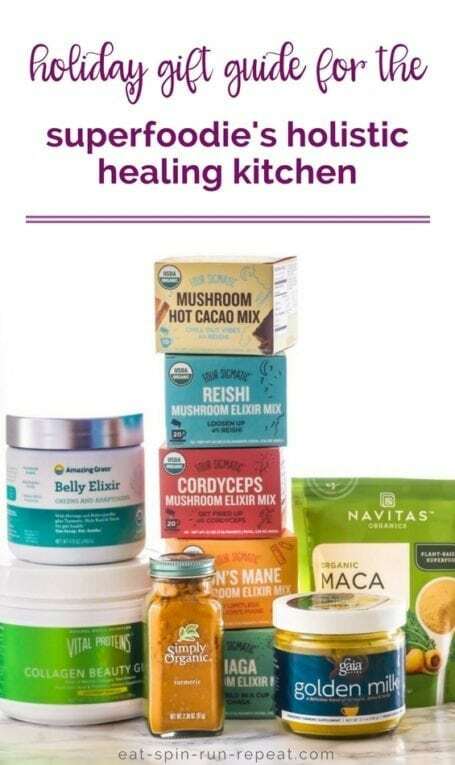 I’m a loyalist because of the company’s stand for quality ingredients and educating the world on how mushrooms can be such powerful healing foods. To learn more, check out the videos in their academy. It’s free! iHerb offers support in 10 languages so no matter where you are in the world, I’m sure you’ll find what you need. 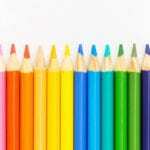 If you’re a new customers, you can get $5 off your first order of $20 or more by using this special link. 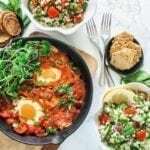 What are some of the functional food essentials in your kitchen? Any I haven’t listed here? 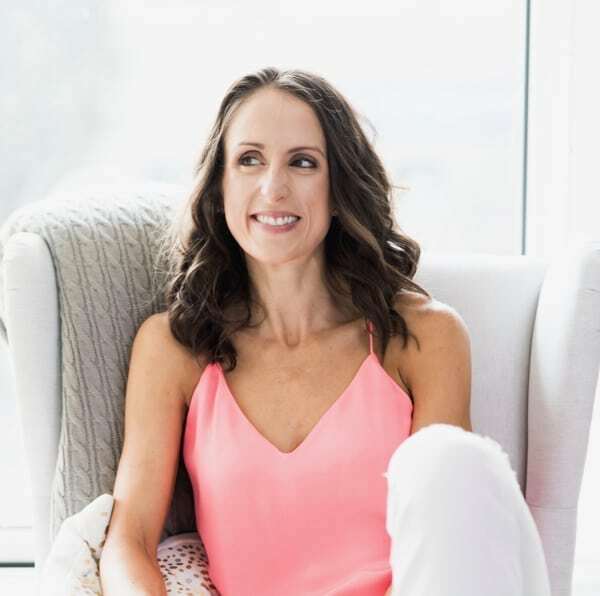 Are there any wellness trends you’ve seen emerge this year that you haven’t tried yet and are still curious? Disclaimer: Please remember that I’m not a doctor, and it’s a good idea to check with yours to ensure supplements are right for you. This post has been made possible by iHerb, but all thoughts and opinions are my own. Thank you for supporting Eat Spin Run Repeat and the companies I choose to partner with.